Handy small appliance for quick cleaning whenever you need it! Pest Magic is a revolutionary and innovative breakthrough in pest control. Pest Magic is an electronic pest repeller that is both simple and safe. It drives away flies, moths, ants, roaches, rats and mice. Simply plug the Pest Magic into electrical sockets and make use of your home circuit to send out a signal that irritates the nervous system of pests, thus driving them away without killing them. Pests problems should be resolved within 2-4 weeks, although complete elimination may take over 4 weeks depending on the type of pest as well as its reproductive cycle. 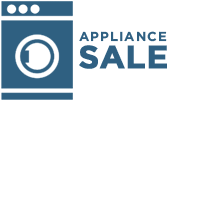 Pineware appliances represent quality, affordability and dependability. With a reputation as a manufacturer of tough, reliable and excellently priced small electrical appliances, Pineware is the real value product of choice. Innovation has always been a feature of the Pineware product range. This South African brand continues to dominate the local market as well as increase its presence in the rest of Africa. The Pineware brand is for people who make smart choices.